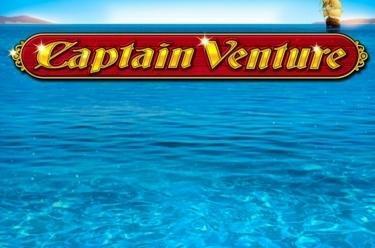 Play Captain Venture online for free now! Twists portside ahead! Start your raid on the high seas with Captain Venture. We're not spinning any seaman's yarn: Treasure Island really does exist and is peppered with treasure chests filled with Twists! The old sea dog puts you on the course for winnings and with the 'Steering Wheel' you will steer directly to the bonus feature! Your aim is to land 5 identical symbols along the 10 win lines. Winnings patterns always start on the first reel to the left and run along the win lines to the right. The important thing is that the matching symbols lie side by side without any other symbols interfering. 3 or more Scatter symbols ('Steering Wheel') in any position trigger the bonus feature with 10, 12, 14, 16, 18 or 20 Free Games. The steering wheel determines at the beginning of the bonus feature how many Free Games you win. In the Free Games, all winning combinations pay out four times the regular game winnings. 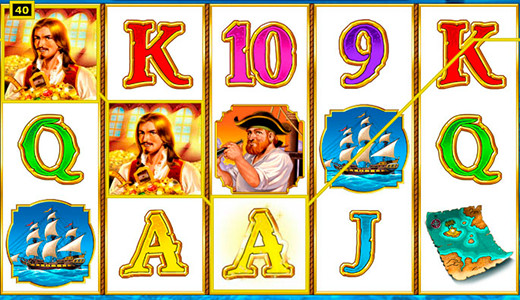 The 'Captain' substitutes all symbols except for Scatter and can complement your winning combinations. Additionally, the 'Captain' doubles the value of your winning combination (a line win with the 'Captain' symbol pays x8 in the Bonus Feature). 3 or more Scatter symbols during the current Free Game win more free rounds.